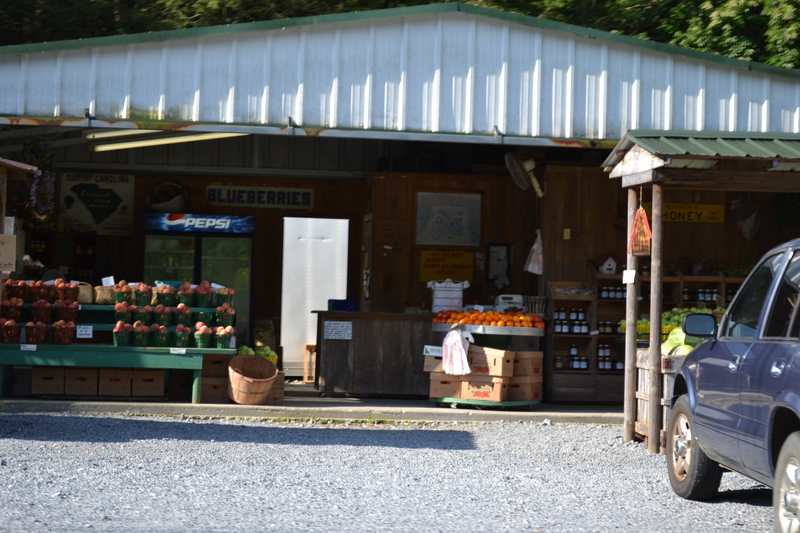 While traveling on a country road, we came across the cutest fruit & veggie stand! The lady behind the counter was so nice and had the best country accent! I just wanted to sit and continue talking and getting to know her. buy the beautiful fruit for sale. and each time there were people there, buying different fruits & veggies. These were locals who knew the fruit was well worth stopping for. And they. were. SO. delicious!! We went back to the fruit stand several times during our stay. 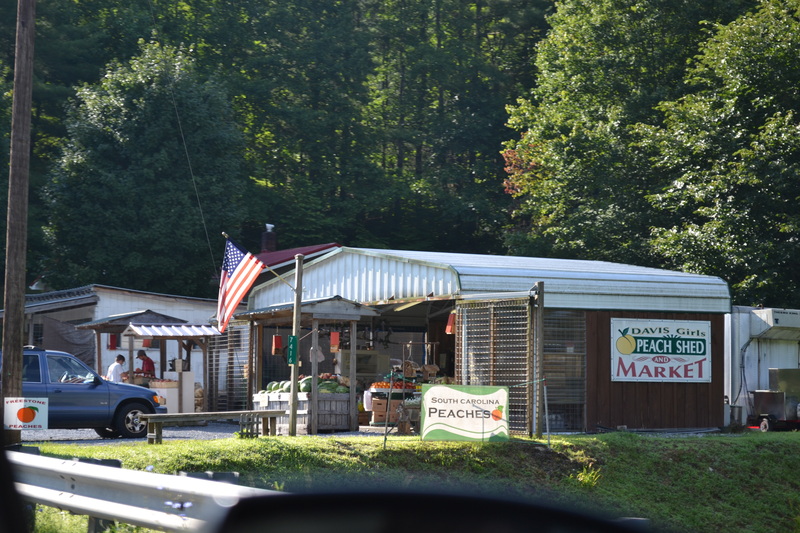 We also bought a few other items, but the peaches were my favorite! I’ve always been skeptical about stopping to buy anything by the side of the road. great local, organic, delicious, and very reasonably-priced bounty from their farms! Enjoy the fruits & veggies of late, late summer before they’re all gone! I’m so glad you stopped and then shared about it! We have a favorite apple orchard we’ll be visiting pretty soon! God bless you! Apple orchard! Wow, that sounds wonderful!! We were on vacation one year near a huge apple orchard… They had a little country store with everything from apple cider to pies… My husband’s favorite was the apple fritters! It was a neat place. Our children were still young and even though it was a long time ago, we still talk about it with lots of fond memories. Where we live there are quite a few Mennonite families who sell there produce at our local farmers markets. 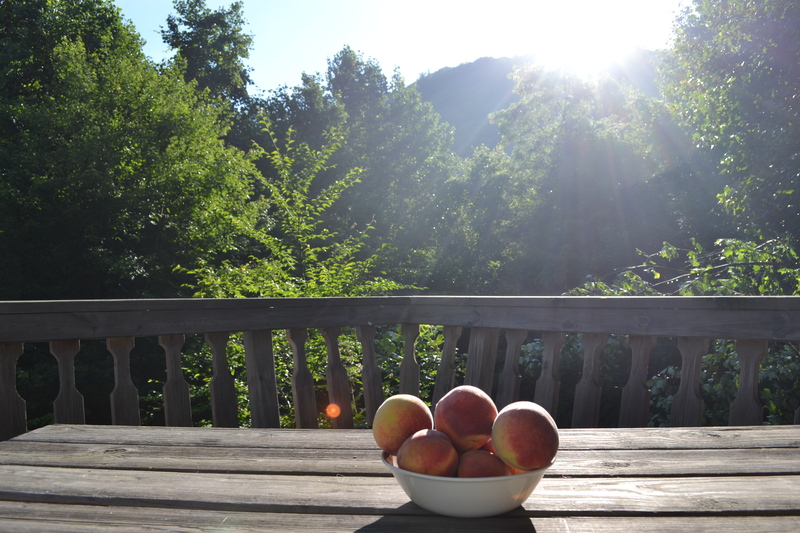 This year we had some of the best peaches we’ve ever had….so I know what you mean. 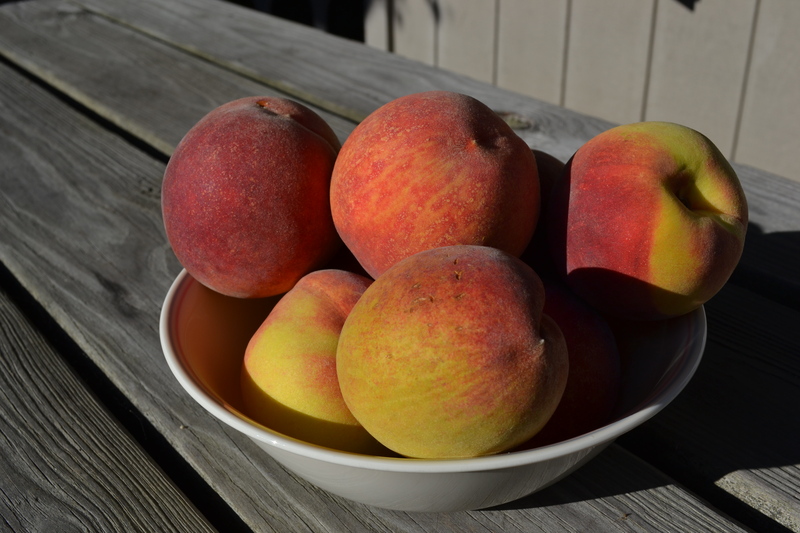 Alas, my husband stopped yesterday…no more peaches…we’re at season’s end. 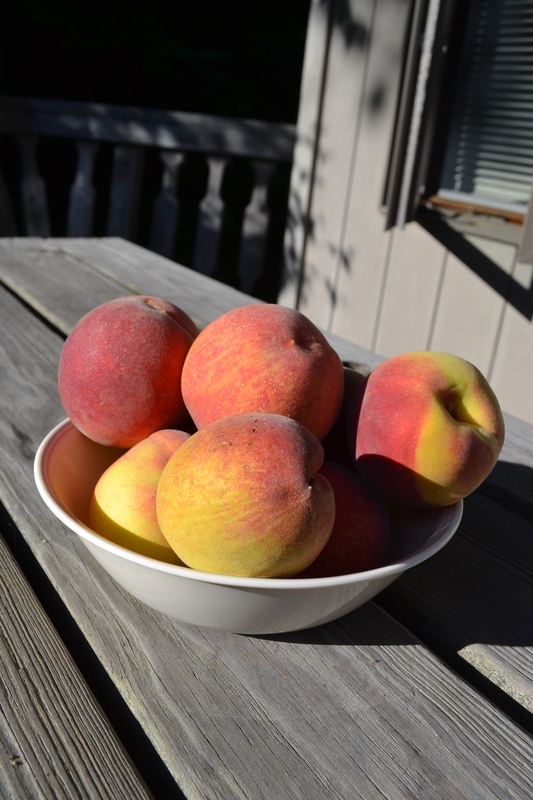 Thanks for sharing…your photo of your peaches are so enticing…makes my mouth water. I guess I’ll have to look forward to next year! The peaches look delicious. I love fruit stands like the one you describe in this post. We have a little stand, just down the road, were we go for corn. The farmer actually walks into the field and picks the corn while you stand there! I love that! One local farm puts up a huge blue-striped tent along a busy road and has a wonderful market from June through October. It’s a wonderful place to shop. That sounds like so much fun! I’ll definitely have to keep my eyes open for more of those next summer! I am a fan of farmer’s markets and roadside stands! Your peaches look luscious! Daisy, I really like how you captured the sun shining on the bowl of peaches in the second to last picture. Beautiful! Beautiful post Daisy. We are enjoying peaches here before they run out with the end of summer– but haven’t seen golden huge peaches like these!